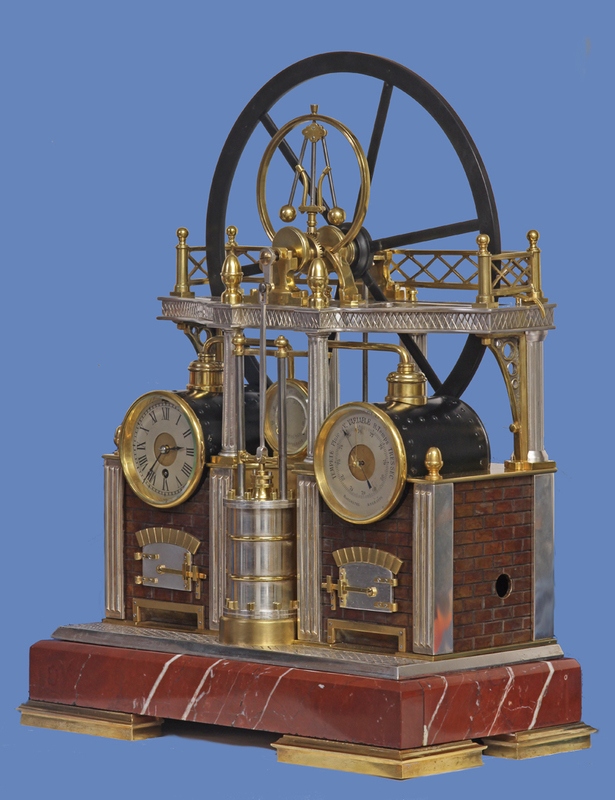 c.1895 Automated Steam Engine Industrial Clock. 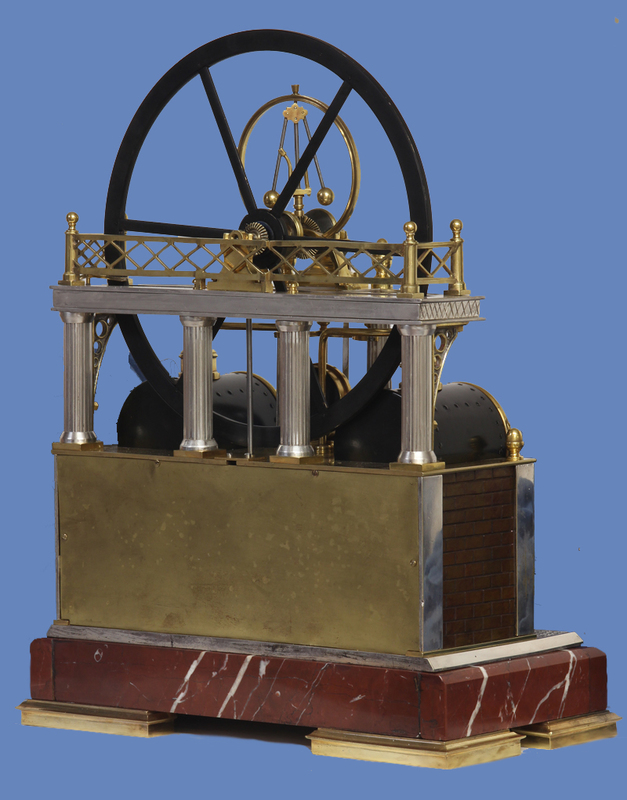 The patinated, gilt and silvered-bronze and marble case depicts a late-19th century steam engine. It has a patinated brick work furnace with decorative doors and reeded pilasters to the corners. 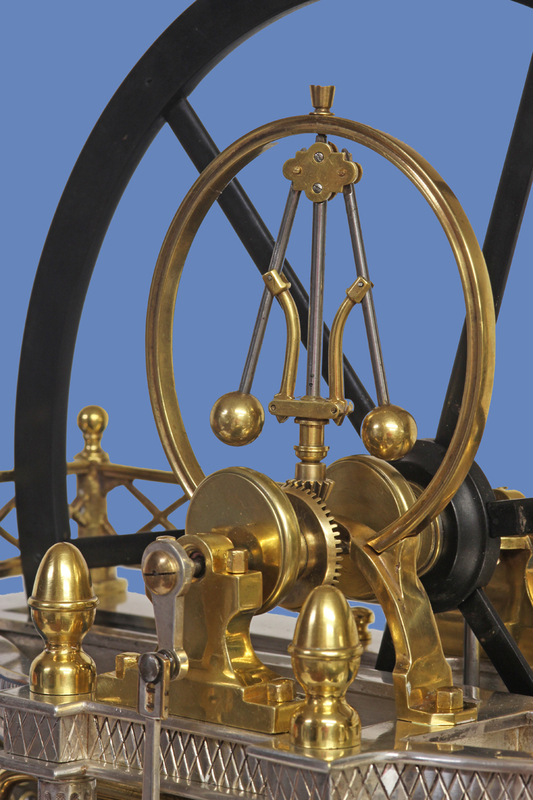 Standing on fluted columns is a second level that has a decorative balustrade, finials and supports the spinning fly wheel and the giant rotating wheel. In front is the cylindrical structure that houses a pushrod and the whole is supported on a red variegated base with four decorative feet. 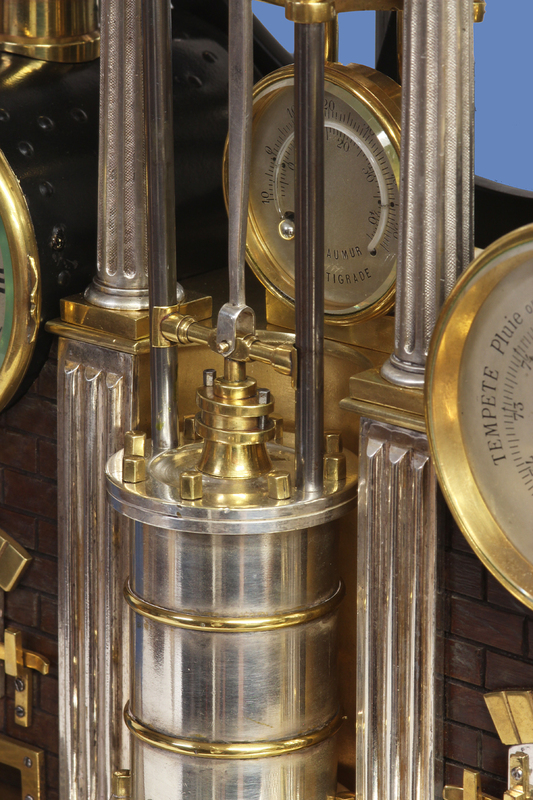 Incorporated into the structure are a timepiece, barometer and thermometer. The silvered chapter ring clock dial has black Roman numerals for the hours, a gilt-bronze center, decorative steel-cut hands and a hinged bezel with a beveled glass. 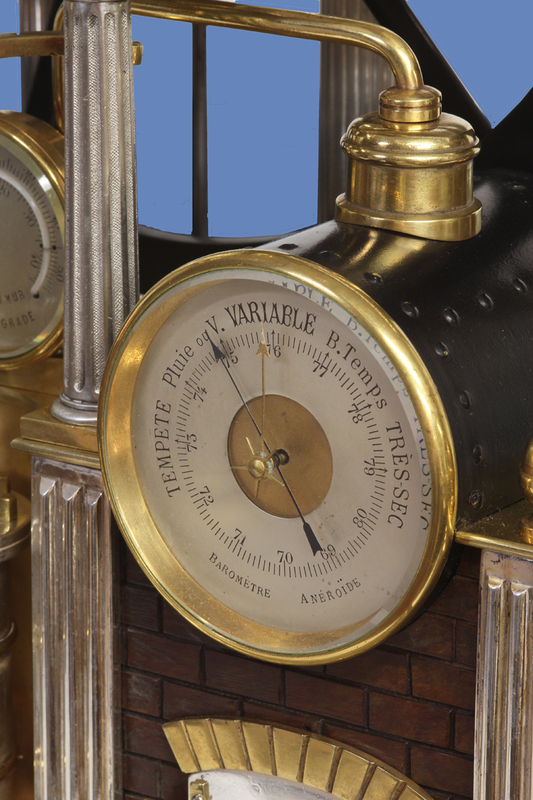 The aneroid barometer dial has a silvered chapter ring with a gilt-bronze center, is in French, has both gilt-bronze and steel-cut indicator hands and a beveled glass. 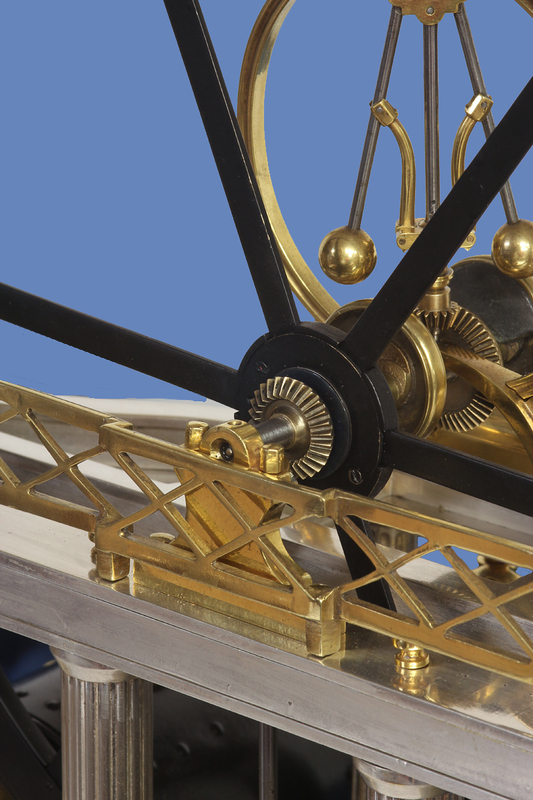 Clock Movement – The eight-day time only movement has a balance wheel escapement with the fast/slow adjustment out the dial. 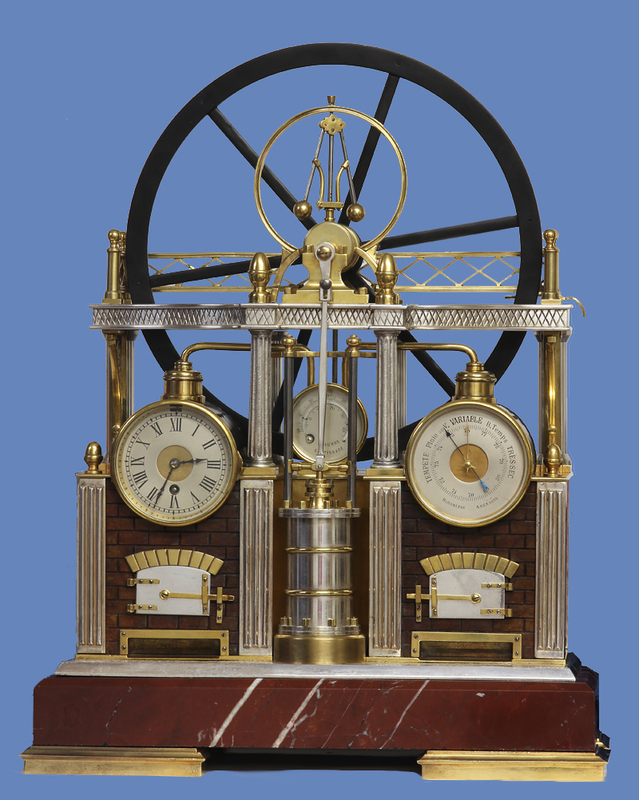 Animated Movement – The massive animation movement is mounted to the base and housed in the brickwork furnace. 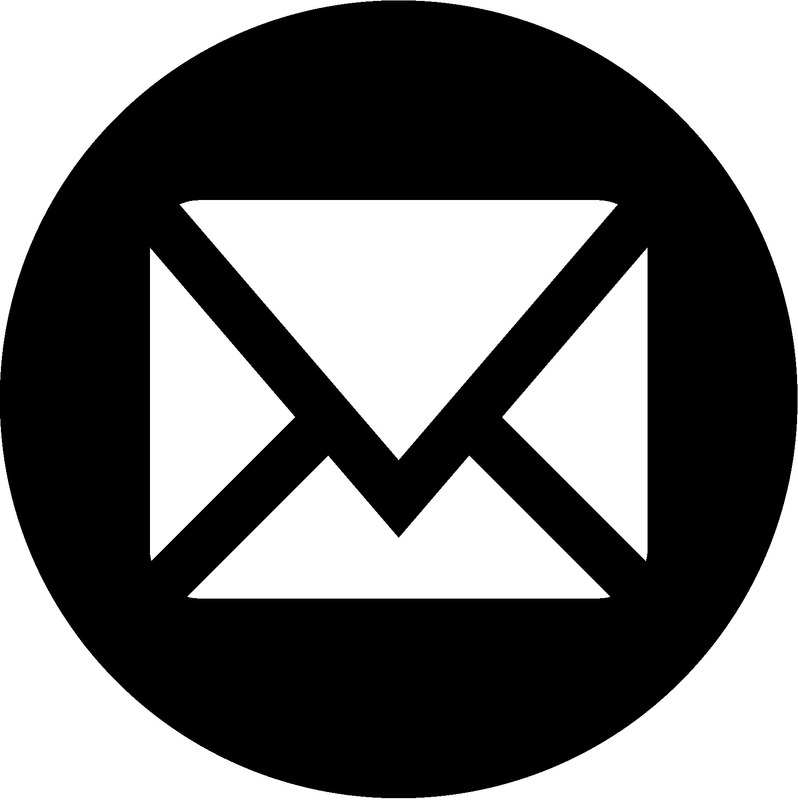 It is wound out the side and powers the animation that rotates both the giant spoked wheel and the governor for several hours. 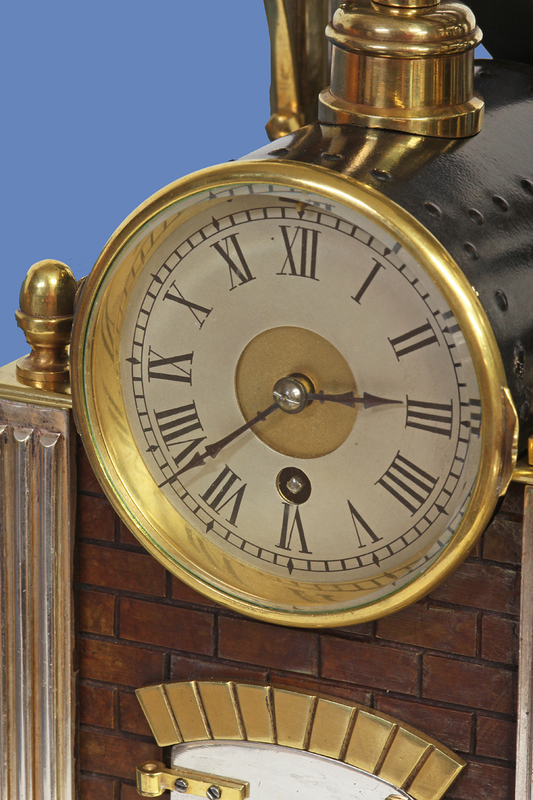 This particular series of Industrial Clocks, the steam engine, came in several different sizes and complications. This is the largest and most complex. 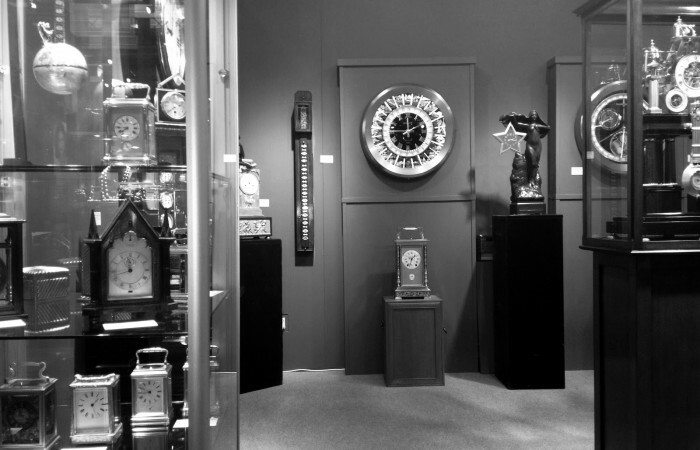 For additional information on Industrial Clocks see: ‘Mystery, Novelty and Fantasy Clocks’, Roberts, Chapter 22.